Soft toric contact lenses are used to correct astigmatism. If you do not know what astigmatism is please click here to find out more. 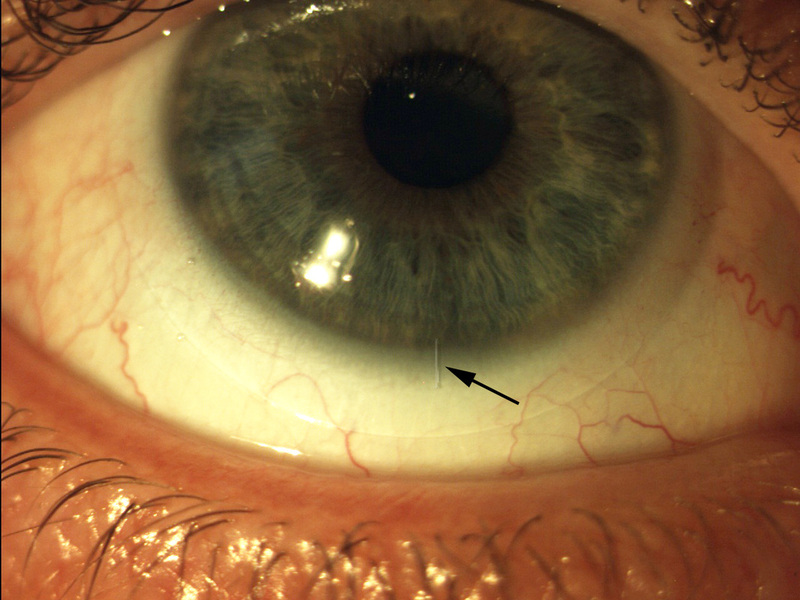 Due to the nature of the condition the lenses must be orientated in a specific position on the eye (see image). This makes sure that the prescription is aligned properly. If the lens moves after a blink or if it is manually moved by the wearer rubbing the eyes then the vision will go blurred. It may take a few seconds for the vision to return fully. The method by which this alignment is achieved can be different depending on the lens design. The majority of lenses are slightly thinker at the bottom and rely on gravity to pull the lens in position. Another design is to make the lens thinner at the top and bottom with the bulk of the lens in the middle. The upper and lower eyelids then grab hold of this part of the lens and orient it properly. The design suited best to you will be discussed at your fitting appointment.